I can’t really say what I expected from Crete. Honestly, I can’t even remember why we chose to go there other than it was on the “Greece Honeymoon” template of our Honeyfund account. 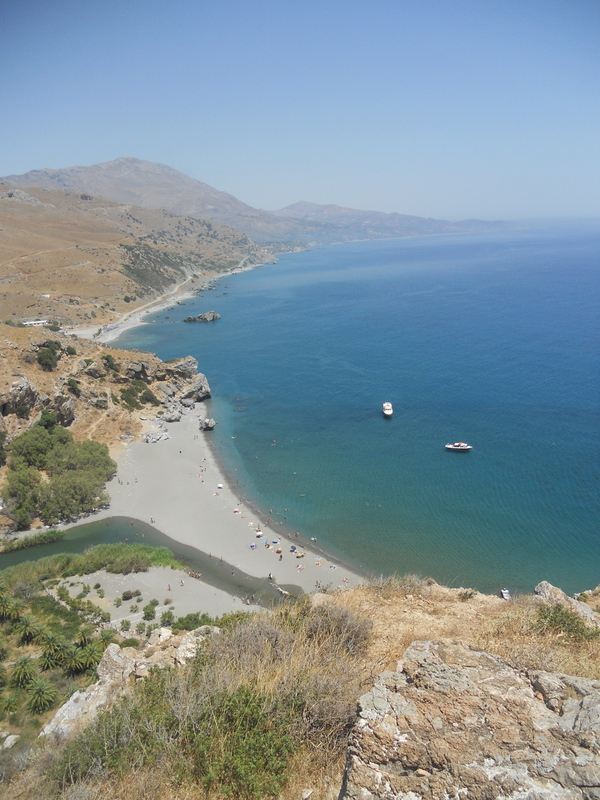 Whatever, it doesn’t matter – Crete is now one of my favorite places and a true hidden gem. We arrived after a 30 minute flight from Athens to a very mountainous island. I booked a rental car from a local agency and that was an experience in itself. The broken English and unclear rental terms made us really nervous. So, we decided it was better to not leave a paper trail – we opted to pay cash and they agreed. Very trusting those Cretans. Without a GPS, it was actually pretty amazing we found our hotel in the adorable Venetian port town of Chania (the 3rd largest city on the island). In hopes that we would be given a little extra treatment, I was sure to let all the hotels we booked know it was our honeymoon and the Ifgenia Suites hooked us up. They upgraded us to their “penthouse suite”, which included the entire roof top as our patio, two terraces, a jacuzzi and a bottle of local wine. All for the price of 60€ per night. 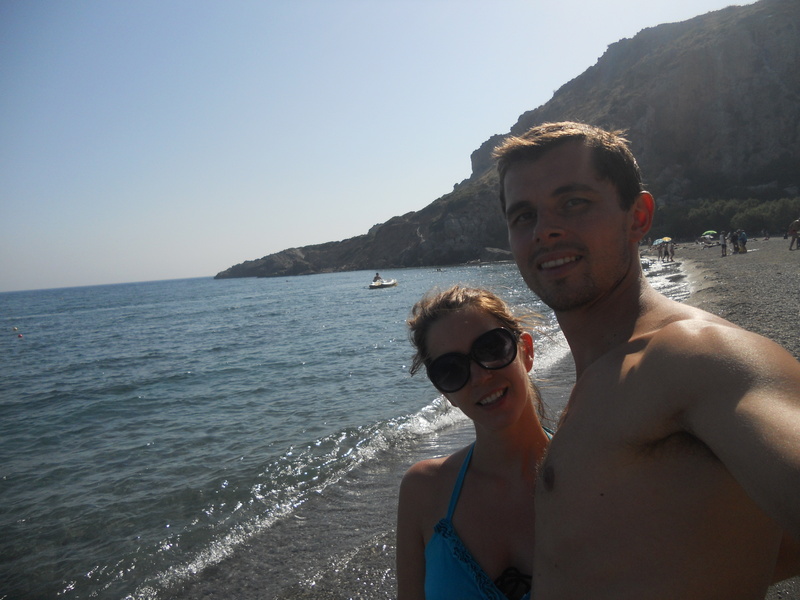 Already, Fabien loved Crete. 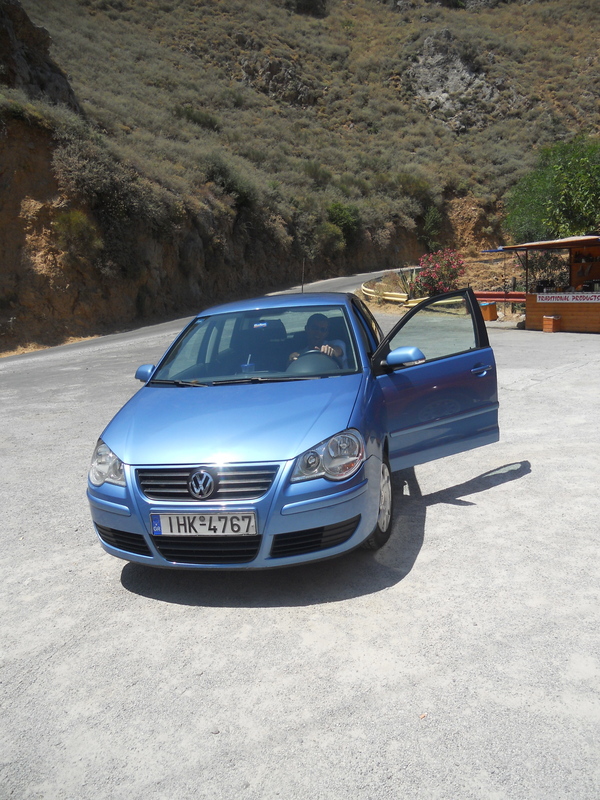 After a quick lunch, we loaded up the car and headed to Elafonisi Beach. The drive was absolutely beautiful and completely terrifying. Single lane, curvy roads, where if, by chance, an oncoming car comes along, you have to play chicken. Loser goes over the cliff. So, if you’re going to Crete and renting a car, don’t forget your Xanax. However, arriving at the beach, was totally worth risking our lives because it was bee-u-tay-full! What do you think? 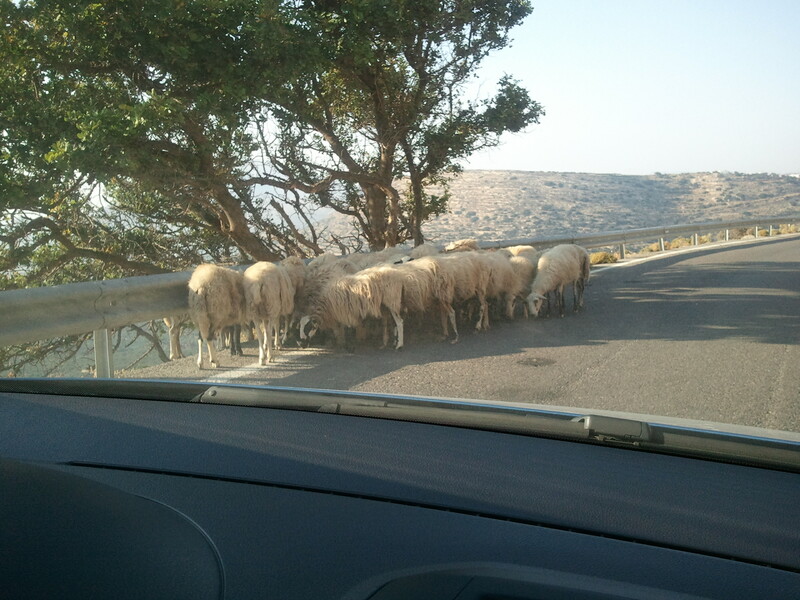 I didn’t take this pic because of the sheep, I took it because I was so happy to see a guard rail. By the time we made it back to Chania, it was 9pm and we were starving. There were many restaurants with amazing views of the water and we quickly chose one that offered salad, wine, a platter of greek meats, potatoes and dessert, for 2 – all for 25€. 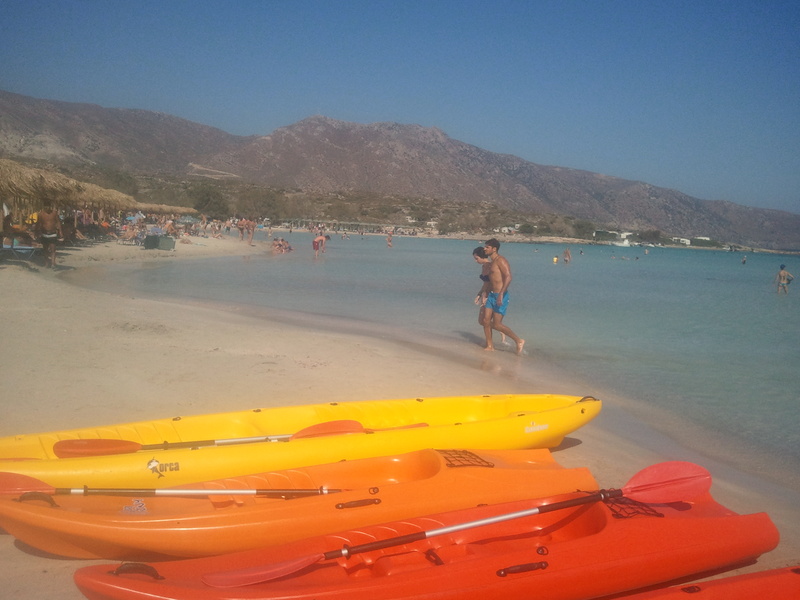 Again, my cheap husband loved Crete. Also, after every meal, there was complimentary Raki and watermelon. If you’ve never had Raki before, I’m guessing it’s the equivalent of moonshine. One taste was one taste too many for me, so we politely declined going forward. From this point on, each night we would walk along the port, looking for these kind of specials. The next day was like the previous. Scary car ride to an amazing beach. Prevali Beach is also known as the one of islands best, but you have to work for it. The only way to access the water is by hiking or boat. 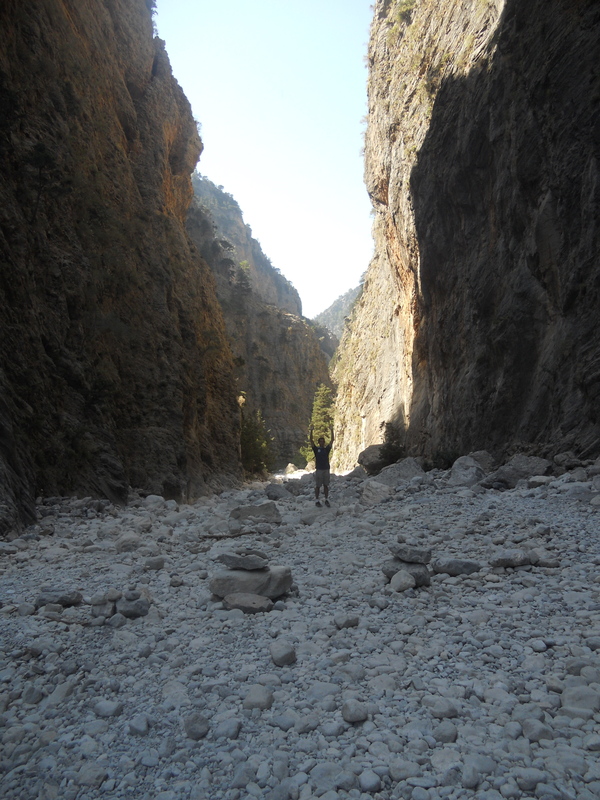 On the third day, we had arranged to take the public bus to hike Europe’s deepest gorge, the Samaria. Now, if I thought being in the little car was scary, the bus was ef-ing scary. I thought that surely there was a highway or a bus route that didn’t include oncoming traffic. Wrong. But I did appreciate how the bus driver beeped his horn before going around every curve in warning to other drivers. Safety first. And so we hiked the gorge. I’m happy we did, but I’m not sure I’d do it again. After spending 2 weeks, walking in Spain, I think I am officially walked out and over 5 hour hikes for a while. But, Fabien loved it. At the end, we arrived in a cute little town and the hottest beach on earth. By this I mean the black sand was so hot that you needed shoes just to get in the water. This was the first time I ever thought, “It’s too hot to be at the beach.” The only reason we stayed is because we had to take a ferry back, which didn’t leave until 5pm. Good old European efficiency. The fourth day would be our last full one on the island. The next day we would be taking a boat from the Cretan capital of Heraklion to Santorini. 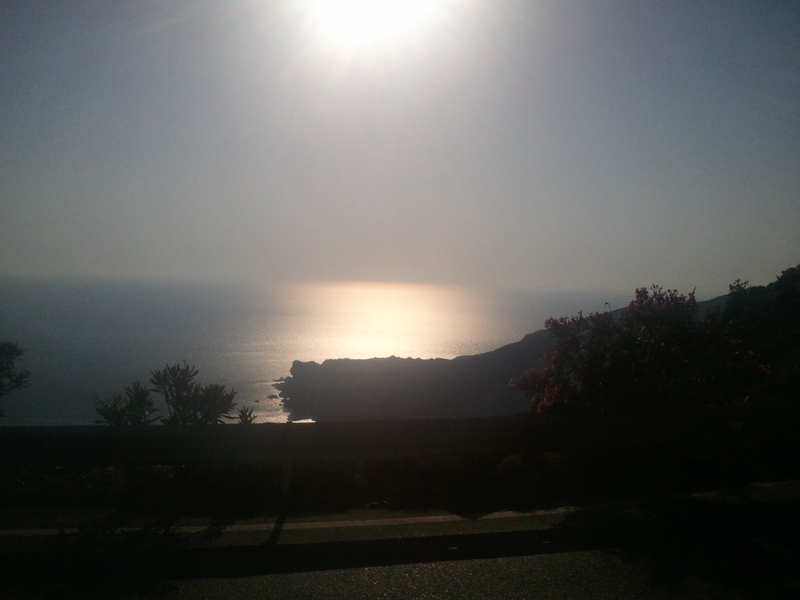 So, we spent the day driving to Heraklion and stopping at some little towns along the way. 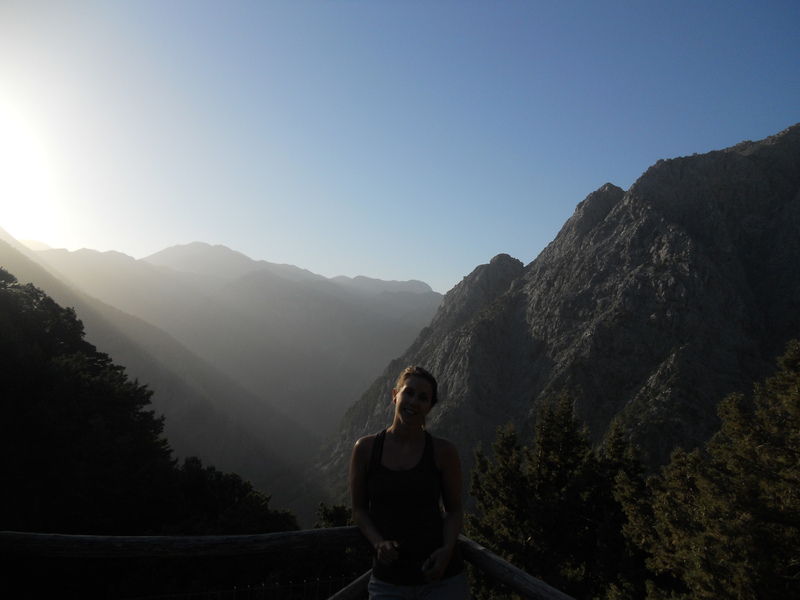 Looking back, we both wish we had more time in Crete. We really just scratched the surface of the amazing island. The prices, beaches, friendly locals and amazing food are simply too hard to beat. If you are ever thinking of going to Greece, do not miss Crete. For the entire Crete photo album, click here.